On Saturday(April 13th) Gabrielle Union struck a pose for instagram, ahead of her attendance at the BlackDesign Collective Event honoring costume designer Ruth Carter. 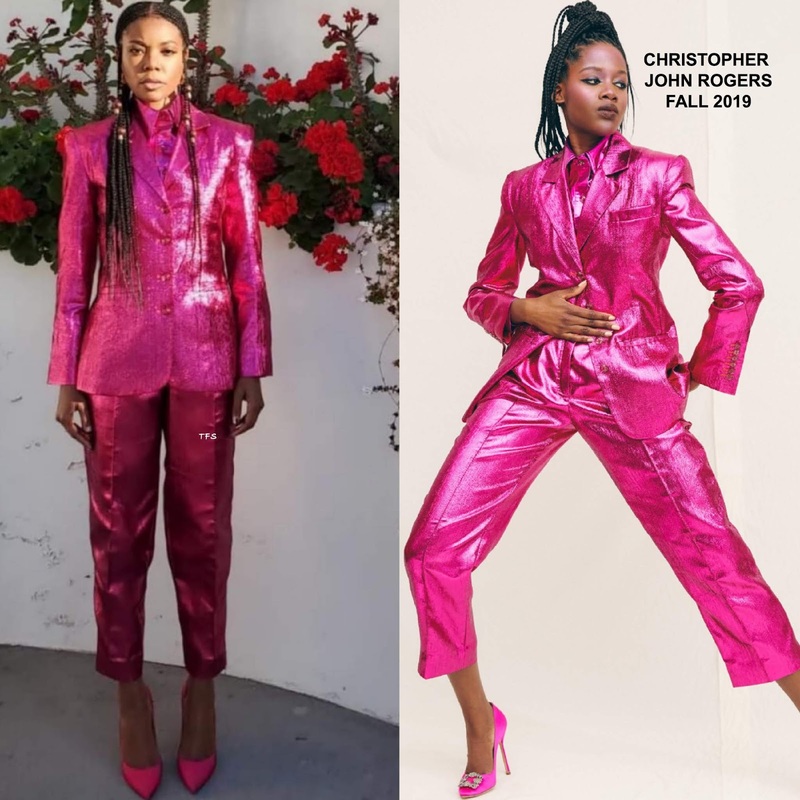 She posed for the gram rocking a CHRISTOPHER JOHN ROGERS FALL 2019 fuchsia lurex suit, featuring a matching button down shirt underneath and crop trousers. I really love this power suit, it's bold, edgy and fun. Playing off of the fuchsia hue, she wore matching SERGIO ROSSI pumps. She finished up her look with a flawless beauty look. Are you feeling Gabby's instagram style as well?